Management is one of the most sought after education course these days. People from varied fields aspire to seek top ranked management education from premium B Schools. But, most of the times it becomes a daunting task to choose the right program and then to pursue a full-time management course from a top-ranked B -School. The task can be further daunting if you have to leave a well paying job for your management education. This is where distance and online education comes into picture. The exorbitant fee structures, time requirement and limitation in terms of number of seats of a full-time management course can be easily sorted with distance or online education. 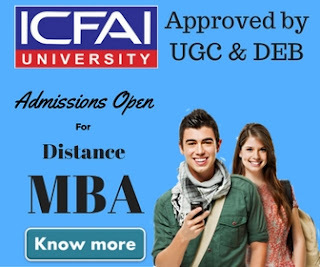 Moreover, the advent of most of the top-ranked management course providers in online and distance education scenario has increased the acceptability of distance and online education in the job market. One such management education provider is Narsee Monjee Institute of Management Studies - School for Continuing Education. Narsee Monjee Institute of Management Studies (NMIMS) was established in the year 1981. 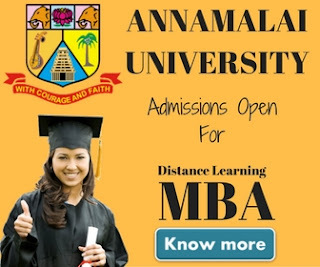 It is a center of learning for classroom and distance education. NMIMS has carved its own niche in the education industry and has been recognized for consistently delivering superior quality education especially in the field of management. The University has been recognised with various awards and accolades like a “Five Star” rating by the National Assessment and Accreditation Council. It is also ISO 9001:2000 Certified (2004). Zee Business has ranked it 2nd amongst all B-Schools in India. It is ranked 5th among Top Distance Learning Institutes in India to provide best experience by DNA – Indus Learning Survey 2012. The NMIMS PGDM course has been designed to transform participants into world class business leaders and managers. The PG Diploma program is equivalent to an MBA program. Due to its comprehensive coverage of skills and techniques required across different managerial functions, this program has created a different segment of students for itself. There are eight specializations to choose from like Human Resource Management, Banking & Finance, Marketing Management, Business Management, Retail Management and so on. All these programs have been especially designed to provide participants with a strong training in basic management principles. The course is spread across two years which are divided into four semesters. The program is self-driven and the students have the flexibility to learn at their own pace. The program structure makes it suitable for both working professionals and aspiring students. The one year diploma courses offered by NMIMS are comprehensive programs which enable the learner to get appropriate skills in various fields. These diploma courses are offered in segments like Business Management, Retail Management, International Trade, Financial Management and more. These courses are ideal for working professionals looking to up-skill themselves in various functions of management or sectors of industry. These distance programs offered by NMIMS are self instructional in nature.The programs are comprehensive and provide in-depth knowledge about the field of study. For smooth delivery of the course, the academic queries during the course are handled by NMIMS faculty. 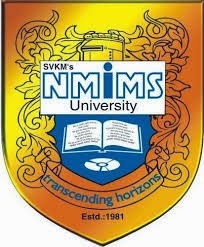 The course is hosted on the learning system of NMIMS which makes it easier to learn. NMIMS accepts applications from eligible aspirants. The eligibility criteria varies from program to program. For a hassle free enrolment a student can also check out EduKart, India's largest higher education enrollment platform and one of the leading authorized information centers of NMIMS – School for Continued Education. The company provides dedicated counselling support for the courses and assures genuine fees to every student. Participants can fill an online form which makes the application process smooth and hassle free. EduKart assists the students in other admission related formalities. A skilled team of counselors and dedicated support team are available to answer admission related queries. Hence, if you are planning to pursue management education from a top ranked premium B – School then Narsee Monjee Institute of Management Studies must be on your preference list. Moreover, if you are working professional and can't afford to leave your job then NMIMS – School for Continuing Education is a recommended option. EduKart has made the whole admission and education process easier and smoother. With the kind of training and knowledge that these courses offer, a student is sure to gain manifolds and move ahead in his or her career as a management professional.